Lugz Men's Empire WR EEE boots are the perfect gift for him this Valentine's Day! This boot is slip resistant which is perfect for the winter weather and with a Flexa-stride Memory foam sockliner they're extremely comfortable. My husband loves how warm and comfortable these boots keep his feet. We're in the process of having a new home built so several times a week we go out to the property to take a look at the progress and as you can imagine, the job site is somewhat of a mess. 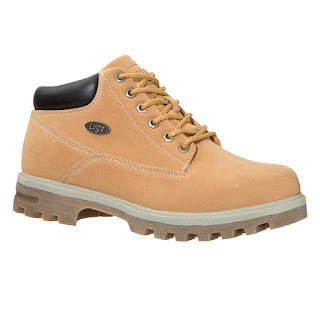 These Lugz Men's Empire WR EEE boots are perfect for walking around on the un-level and sometimes muddy ground. 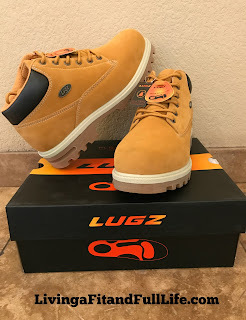 Something else I noticed while checking out the new house is that many of the guys working on the house had similar boots, however these Lugz Men's Empire boots looked much more fashionable. Whether you're walking a job site or wearing them with a pair of jeans on a night out, they look fantastic!